Depart from Island Packers in Ventura Harbor at 8 am. After crossing the Santa Barbara Channel by boat, take a guided hike along the Cavern Point Loop (2 miles) or lead your own hike down the Scorpion Canyon Loop (4.5 miles). While enjoying your hike, keep an eye out for the endemic Santa Cruz Island Scrub Jay and Santa Cruz Island fox. Afterwards, you will have some time for swimming, exploring the historic ranch, and general relaxation. $54 per person, includes transportation; lunch not included. Participation is limited to 30 people. NOTE*** Registrations for the kayak and snorkeling trip must be made by Sept 1. Depart from Island Packers in Ventura Harbor at 8 am. The boat will take you across the Santa Barbara Channel to Scorpion Anchorage. You will be led on a 2-hour guided kayak tour by Aquasports along the shores of the island where you can see the rugged cliffs and a variety of wildlife. Once you return to the beach, you will have time to eat lunch, take a short hike, and snorkel in the cove. All kayaking and snorkeling gear will be provided. Each person will be responsible for packing their own lunch. Participation is limited to 10 single and 6 tandem kayaks. Join us on a 3-day, 2-night trip to Santa Rosa Island. The boat will depart from Island Packers in Ventura. Watch for pelagic seabirds and other ocean life as you spend 2.5 hours crossing the Santa Barbara Channel to Bechers Bay. Free lodging will be provided by the Santa Rosa Island Research Station (California State University, Channel Islands) in the bunkhouse; camping is also available for 13 participants. Enjoy the peace and quiet of the island as you participate in tours led by Kate Faulkner (NPS-retired), Bill Faulkner (NPS), Cause Hanna (CSU-Channel Islands), and Steve Junak (SBBG-retired) throughout the weekend. Return to the mainland will be on Sunday. $104 per person, includes transportation, food, and lodging. Participation was limited to 30 people and the field trip is now full. Come join a tour of the collections of the Western Foundation Vertebrate Zoology located in Camarillo (about 20 minutes from the Ventura Beach Marriott Hotel). The collections are among the largest in the world and are composed of more than 190,000 sets of bird eggs representing approximately 4,000 species, more than 18,000 nests, more than 55,000 bird study skins, and a library of over 8,000 books and monographs on birds and natural history. The library also houses more than 400 bird and natural history journal serials, and a large collection of the field notes of collectors and scientists. Participation is limited to 25 people. 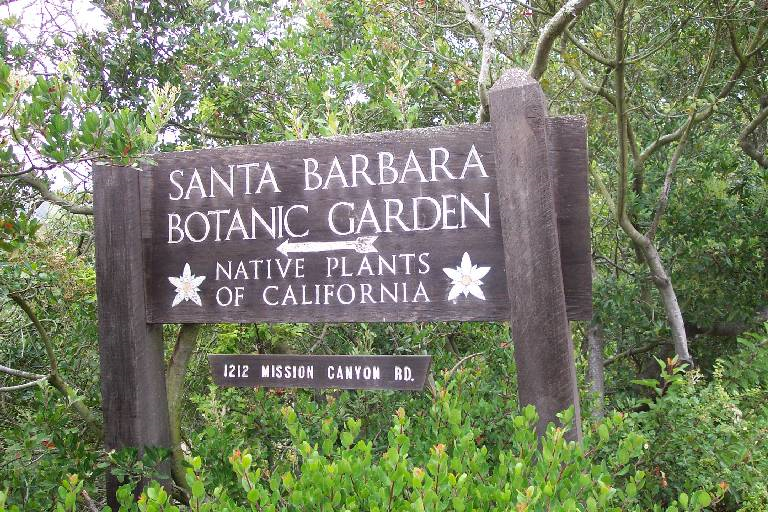 The Santa Barbara Botanic Garden is sponsoring complimentary docent-led tours featuring the new Channel Islands Garden and Pritzlaff Conservation Center, both opening in spring of 2016. You will also get to stop by the Clifton Smith Herbarium to see the region’s largest scientific collection of Channel Islands plant specimens. Located in the foothills of the Santa Ynez Mountains, the Garden’s living collections feature over 1,000 taxa of California native plants set against the breathtaking backdrop of La Cumbre and Cathedral Peaks. The Garden Shop will offer specials for participants, and the Fall Plant Sale lasts the entire month of October, featuring exclusively native plants of California. Experience a unique tour of the archives at the Santa Cruz Island Foundation, a non-profit organization dedicated to the preservation of the cultural histories of all eight California Channel Islands. Led by Marla Daily, California Channel Islands historian and president of the Foundation since 1987, you’ll see paintings, furniture, old maps, and other historical artifacts representing the long history of the Channel Islands. The SCIF office is located in the quaint seaside town of Carpinteria, a twenty-minute drive along the coast north of Ventura. The town has more than 40 restaurants.